A list of Presidents in order, chronological and numerical. 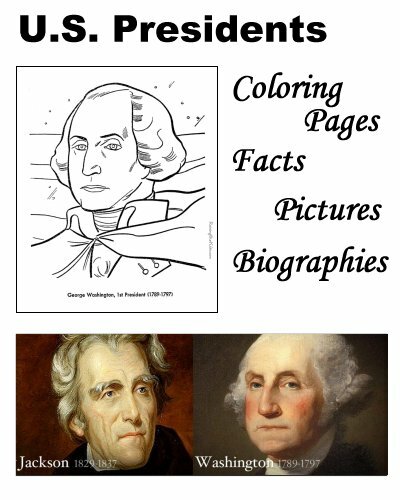 US President facts, biography, pictures, names and coloring pages for each US President. Portraits of the presidents too! Click a thumbnail image below, or a President's name on the left-side menu to go to the facts, biography, pictures and coloring pages of each of the U.S. Presidents. US President coloring pages are fun, but they also help kids develop many important skills. These skills, eye-hand coordination, color concepts, picture comprehension, form the foundation for early learning success. Kids who color generally acquire and use knowledge more efficiently and effectively. Enjoy these free, printable U.S. Presidents coloring pages!